Our cylindrically-shaped dust collector cartridges comprise both DIN and ABS cartridges for use in pulsating or static systems. The pleats on our cylindrical cartridges are designed with uniform spacing to maintain maximum filtering surface. Envirox’s pleated filter materials can optimise your air filtration efficiency by maximising the amount of media exposed to the air stream. 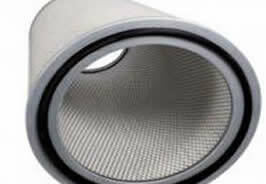 The liners used in our cylindrical cartridges are constructed from galvanised or stainless steel expanded metal. 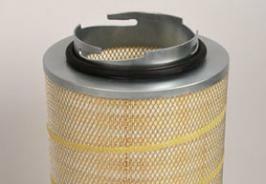 The end caps are filter media potted galvanised metal, and the gaskets used in our cylindrical cartridges are made of seamless urethane. 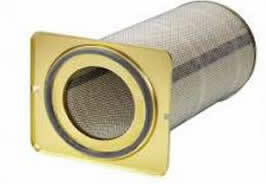 Envirox stocks, installs and services cylindrical cartridges for dust filters/dust collectors. 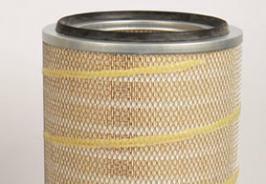 Our size, technology and competence, combined with a strong field presence, make us a leader in providing dust filter and dust collector cylindrical cartridges. 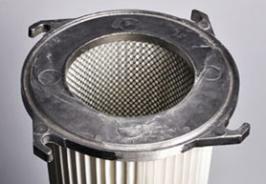 Cylindrical dust filter and dust collector cartridges from Envirox provide a long service life for reduced downtime. Contact us today!